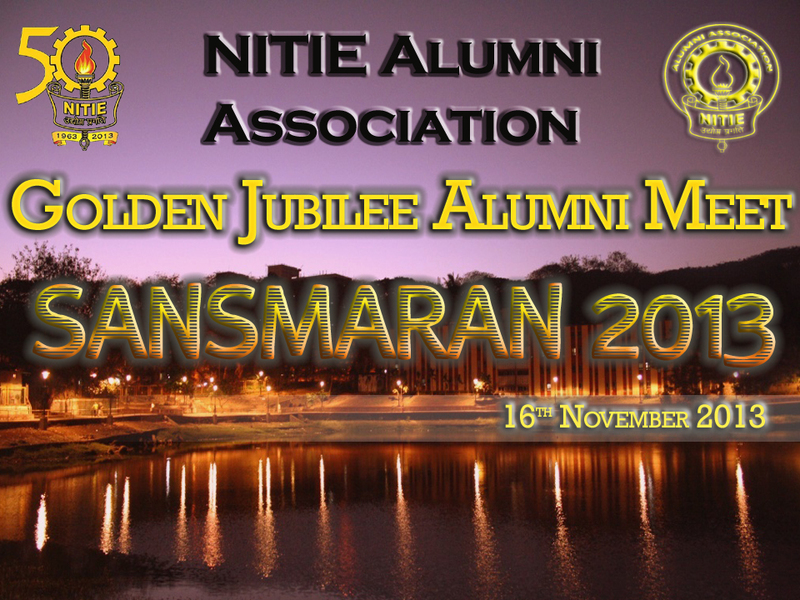 National Institute of Industrial Engineering, popularly known as NITIE is celebrating its Golden Jubilee Alumni meet – “Sansmaran” on Friday the 16th of November 2013. As a part of the Golden Jubilee Alumni Meet, Dr. Rakesh Agrawal, who heads the Microsoft Search Labs, Silicon Valley, USA, will deliver his highly acclaimed talk on “Enriching Electronic Text Books” on 15th of November at 3:00 PM at NITIE campus. He is revered across the globe as the “Father of Data Mining” and has been granted 61 patents. He has also published more than 150 research papers, many of them considered seminal. His lecture would be a befitting start to the grand event. The event will be attended by Faculty members & students from various Management and Engineering institutes. The celebrations are going to be on an even bigger scale this year as this is “The Golden Jubilee Alumni Meet”. During this confluence NITIE will see its alumni like Dr. Rakesh Sinha, Chief Operating Officer, Godrej Consumers Pvt Ltd; Mr. K Subramanium, Vice Chairman & MD – AFCON India Ltd and Mr. S Balakrishna, GM – Sweets of Oman. Mr. Sanjay Khandare, Commissioner Municipal Corporation, Nashik; Mr. Akhilesh Tuteja – Partner, KPMG; Mr. Prashant Lokhande – Indian Administrative Services; Mr. Sandeep Garg, Income Tax Commissioner, Delhi and many others who have made NITIE proud. On the day of the alumni meet, a CEO conclave is scheduled on the topic “How Manufacturing can drive Economic Growth?” . The participating CEOs include Mr. Dev Bhattacharya, Group Executive President & Business Head, Aditya Birla Group; Mr. S P Shukla, Member – Mahindra Group Executive Board, President – Group Strategy & Defence Sector; Dr. G Ramaseshan , Chief Executive (Manufacturing), BASF India Ltd., Mr. Ravi Khanna, Chief Executive Officer – Solar Power Business, Aditya Birla Group, Mumbai; Ms Ipsita Dasgupta, Chief Marketing Officer – GE South Asia & Greater China, GE; Dr. Ganesh Natarajan, Former Chairman, NASSCOM, Vice Chairman and CEO of Zensar Technologies and Prof (Ms) Karuna Jain, Director, NITIE. This topic is in line with the National manufacturing policy recently announced by the Government of India. It will be followed by conferring the Distinguished Alumnus Awards & felicitation of Jubilee batches. A cultural programme would mark the closure of the event. The feeling of nostalgia is going to flow with all the alumni visiting the campus and reliving their old memories at NITIE. All the activities are carried out by the students of NITIE under the guidance of Prof. (M/s) Karuna Jain, Director NITIE & Prof. Ashok K Pundir, Dean Student Affairs and Placement.